Some of the greatest things ever are when the biggest financial services join the blockchain. Here we have an ICO that is 100% certain to be a success and to change the way people worldwide perceive blockchain technology and cryptocurrencies because it has great business success before ICO! We are delighted to present you our FX Pay ICO review and we know you will enjoy it and remember for a long time from now. We bet you will not be able to stop reading this review at any point and that you will visit ICOs official webpage and whitepaper (once again) and look for more information because this review will show you bunch of interesting information that you have probably missed! FX Pay ICO is expected to be immersed in a major industry with expected turnovers of US$ 54 million per day (0.001% of Forex Market share x US$ 5.4 trillion). 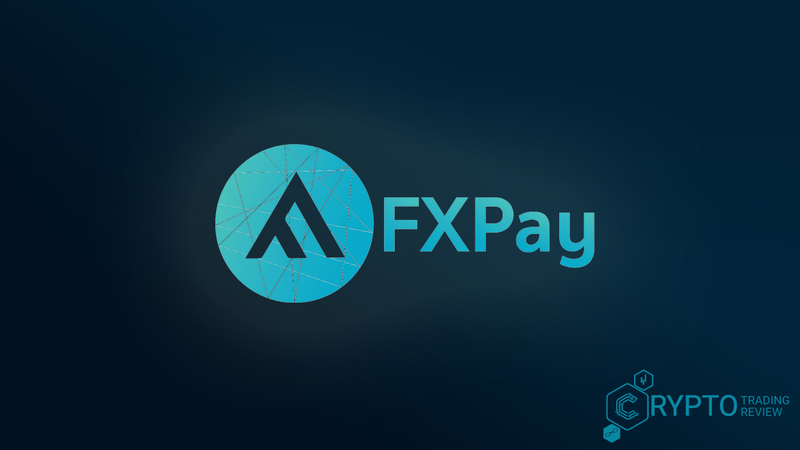 FX Pay expects that when the FXP Platform goes live, it will quickly receive a large daily transactional flow, and within a few months, FX Pay will accomplish above stated numbers. The best thing of all is that we absolutely agree on that! 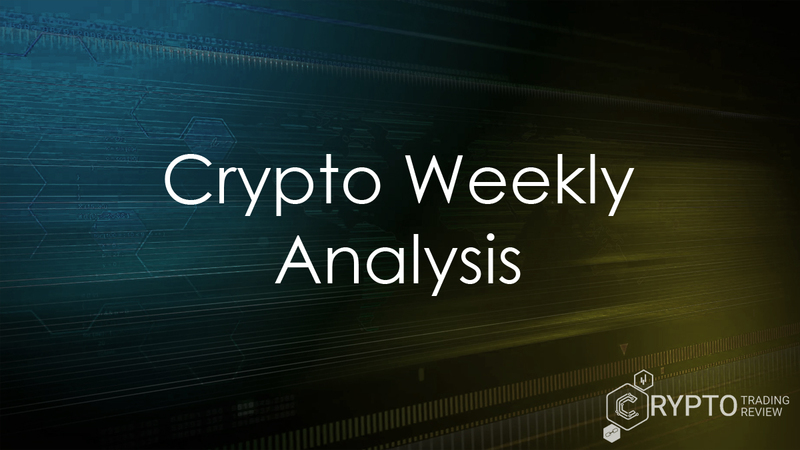 Read FX Pay ICO review to make sure you understand why it is not questionable whether participating in FX Pay ICO will be a success or not, but rather it is a certainty! FX Pay has a goal of creating the international and eco-friendly community on a digital platform that serves the best of Forex participants like brokers and traders. In the center of ICOs focus are premium brokers who have a need for an enhanced method of transactions. The reason for that is because the cost of Forex transactions today are too high and slow, so they found that the blockchain technology can make these difficulties solved. They expect FX Pay blockchain platform to enable established users and significant daily volumes, which would increase the price over time. There are three token sale types, so make sure you read the whole review to see if you should participate in FX Pay and if now is a good time to do so. FX Pay ICO has some key components of FX Pay ICO that will make you enjoy using their FXP currency. We will talk more about them in the solution section. Be patience to first read about the problem and problem breakdown to see the purpose and usefulness of Fx Pay ICO solutions. They have the real potential but you must see that for yourself! In order to understand FX Pay solutions, you must understand some difficulties that the Forex market is facing. They are pretty much the same as with any other service that founds a solution to their problems in blockchain technology, but still, you might want to know more about this specific case before reading about pricing, roadmap etc. Forex market is a global decentralized market for the trading of currencies, and determines the foreign exchange rate and includes all aspects of buying, selling and exchanging currencies at current or determined prices. Forex does not have a central figure that manages exchanges, so they are made electronically via a computer network and have 5,4 trillion dollars a day, while, for comparison, the crypto market has 4,5 billion. The problem that Forex has is about the transactions process that is inefficient and complicated. The goal of using blockchain technology to solve their problems is to make Forex trading simpler and to improve the user experience and thus the profits. You can see Forex structure problems below. The main problems are high fees, the lack of consistency because of a lack of standardization, and long time required to exchange money. For more information, you can visit an FX Pay ICO whitepaper. Forex figures out that blockchain technology could help solve these problems, so they started to use it for that purpose (and much more). Before skipping to solution section we must say that FX Pay ICO did a great job from the beginning of an ICO and because Forex has the huge market and is popular worldwide, FX Pay value will increase drastically, which is important for you as an investor. So make sure you do not miss a single word from FX Pay Review because soon you might be sorry for failing to participate in this ICO. We will go through the next picture to get the clear understanding of Forex solution and then will say something interesting about FX Pay ICO components that we were mentioning a few minutes ago. First of all, this ICO has easy to understand illustrations of what they do and what they plan to do so that anyone who wants to trade and participate in ICO can understand it. Not only that but the purpose of any FX Pay solution is to make everything simpler in order to allow the value of token to increase. As you can see in the picture above, traders can use fiat and Forex credit for trading, but if they use FXP currency, they will have some benefits that we will discuss very soon. The same applies to brokers. Current traders can use their Forex credit to participate in ICO and trade Forex credit back in FXP or other digital currency, which provides a platform with low fees and faster transaction times. That is how FX Pay uses blockchain to solve main current Forex problems, with a result of increasing profit margins and investment potential for traders, while saving costs for brokers when transacting with liquidity providers. Things are getting excited when it comes to benefits for investors and other ICO participants, right? Do not miss the following article because there is a lot of interesting information! Both, traders and brokers have benefits of using FXP. If the trader decides to hold FXP coins he will do the same as other existing Forex participants, which means that cash flow will be created and that cash will go into the exchange and thus will help to make the price rise steadily. Brokers can transfer money to LP or banks, can or purchase/store FXP. If transferring money, FXP will act as a payment gateway and will give discounts to them, and if purchasing/storing FXP, they can buy FXP at a discount price, and then distribute it to their traders or in-house exchange. In this way, brokers will be able to get more customers, which means Forex uses blockchain technology and crypto to make more profits and value to Forex and FX Pay ICO participants. This strategy will definitely make FXP value increase; there is not a single doubt about that. When using blockchain, Forex platform becomes secure, real-time, international and eco-friendly. The important thing to highlight is that FX Pay focuses on bringing blockchain benefits to Forex premium brokers more than anything else. This way the whole Forex ecosystem can be improved because a broker’s chances to gain more profit means the more interested participants. In their own words, the primary focus is to expand their business using blockchain technology and make it Forex’s own premium broker which will allow clients to freely invest in the Forex market with FXP token and will provide a platform with both established users and significant daily volumes, which will steadily increase the price over time. You will see now a few more interesting information about the FX Pay ICO blockchain system. You do not want to miss the most interesting part of this review that is coming in just a minute! When it comes to FX Pay ICO components, there are multiple reasons why they can be called the No. 1 reason for FXP value increase. As you will see later in the partners’ section, FX Pay ICO has a great structure of partners and of already existing Forex users that will use FXP immediately as ICO ends. Payment gateway, market integration, and mirror trading are great features that will enhance the FXP use. You will read more about token components in a minute, but let us take a minute to see if other FX Pay ICO components have any surprises for us. When it comes to FX Pay premium brokers, the great thing is that Forex using blockchain will be able to bypass middlemen and maintain the presence on the platform by becoming their own liquidity provider. This ability should be developed at this time of year. Later we will see if they plan anything else for this month, so stay tuned. The last thing to say in this section is that market integration will benefit both, the existing Forex traders and brokers, and the blockchain/crypto investors. This ICO really is a chance no one should miss. The minimum investment is 100 USD (US residents are restricted from participating). There are several token sale rounds (you will found out about them very soon), and the current FXP price is 1,35 USD (or 1,60 USD with no discount) which means that 1 ETH is 211 FXP. Now here is important information that you should not miss! This is, again, a great Forex illustration that will help you plan your investments in a more effective way. Token’s price will increase 0.8% per day or 24% per month during the token sale, and after token sales FXP will be listed on exchange and price will be defined by market, but as said earlier, we expect for a price to grow and for Forex to be as successful in crypto as without it, which means there will be no drops in Forex market size. Forex Pay ICO has plenty of bonuses and changing price depending on token sale rounds. As said earlier, there are three rounds. Because bonuses depend and differ from token sell rounds, we will tell you more about FXP bonuses in the next review section. Let’s just say that bonus/discount today is 8% and will never again be lower than that! That means that 1 FXP is 1,35 USD today and will have the same price until 31 August 2018. Wait for the next review section to see other bonuses that will occur in the near future! FX Pay hardcap is high so there are bonuses for every crowd sale round (there are six of them, until 31 October 2018. Let’s see the FXP sale process and more information about tokens. We will soon show you some interesting information about other elements of our ICO reviews in general, and it is all about the other reasons why we are convinced you should not miss this ICO! Of course, there is a whitelist. You should join FX Pay as soon as possible. If nothing, follow them on social media using URL from FX Pay official webpage because that is the most secure way to ensure you followed the original ICO. The crowd sale started on 1st August 2018 and will last until 31st October 2018. Considering the fact that the minimum participating amount is 100$ and the fact that we expect a fast increase of FXP value, if you agree with us that you shouldn’t miss this ICO investment, you should participate as soon as possible. The difference of 0,10 USD in FXP price from round to round could not seem a lot but losing few FXP tokens in a long run will result with losing great investment returns. So yes, definitely consider investing as soon as possible. The last offered bonus will be only 5%, which is a 3% difference in your possible earnings if you invest before 31st August. Always count on your investment returns! You will find CEO and advisors under the same team category on an ICOs official webpage, without any highlights of other team members. We guess Forex CEO and his advisors did not think it is important to highlight (and list) the people who work on a solution development. Even though we see no reason to making such a decision, it is obvious we are not missing anything that much important because if their team members were recognized worldwide they would probably use that fact for marketing purposes. However, if we put that aside, we must all agree that Forex, in general, is a highly successful company that has a great achievement so far. For that reason, we will assume they have a quality team working on their behalf. If you look at advisors, you will see that they are some of the best ICO advisors worldwide. Wannipha Buakaew (the only male advisor) is ICO and cryptoanalysts’ advisor that is ranked in top 40 world advisors! Another advisor is in finance in Amazon (UK). None of them worked with world No. 1 companies but still, the combination of these advisors is nice because they are covering all aspects of ICO needs. CEO and founder, Patrix Liu, is a Forex expert for 5 years, ICO consultant for 2 years, US stock & option 7 years, and payment gateway expert for 2 years. Is there anything we need to conclude from our side or you just did it yourself? He seems to hold every aspect of Forex and FX Pay ICO in his hands. Every ICO should have this kind of CEO! Do you think other investors recognized his quality as well? They are available on Telegram, Facebook, and Twitter but you can email them, too. If you decide to visit FX Pay ICO on social networks or contact them via e-mail make sure you use the URL from their official site to avoid frauds. We have put our effort to ensure you have the true and official link to their webpage, so be free to use it. In a minute, you will see ICOs roadmap, how much time passed from the beginning of FX Pay and how much is there yet to go, which will help your better understanding and interpretation of a number of FX Pay ICO followers. On Telegram, they have near 100,000 members (mid-August, 2018), on Facebook 25,000, and on Twitter 42,6k followers. We have noticed some wrong spelling words on an ICOs Twitter account, which, to be honest, surprised us a lot. They seem to be highly professional, successful, innovative and profitable, and still, they engaged a person to manage Twitter posts as a way of communication with the public that has spelling mistakes. We think that is unprofessional. As we were surprised (because this is overall fabulous ICO) we checked if we are looking at the official or fake twitter account and found out it is indeed their official profile, and that besides social network account miss spellings their whitepaper is not revised before publishing. Well, should we take that as a sign of unprofessionalism or as a sign of just not placing that much effort on marketing and communication with the investors? After seeing other ICO review elements in this article and components of their solution, we must conclude that they are just simply not paying that much attention to it and that they still managed to have more than 167,000 followers at just three social networks and a lot of reviews and high rates from independent ICO experts. Roadmap could tell us more about the way they think. First look at a roadmap yourself. If we consider the time they are in the public until now, the number of Telegram members is not that big as with some other ICOs that are there shorter time but have a higher percentage (we are not talking here about the number but the ratio) of members than FX Pay. Still, FX Pay has a long year experience with exchange business, as is the best company that blockchain technology could serve ever! Forex CEO decision of accepting crypto is a huge step not that much for Forex itself, even though it will make it much more profitable for literary anyone who is participating, but mostly for blockchain in general because the fact that Forex is becoming blockchain will make blockchain and crypto more popular worldwide, which will open opportunities for other ICOs and you as an investor to gain more profit! As you can see, FX Pay Inc. is established in December 2017 and started private sale and media campaign only one month after website, whitepaper and token information launch. The only events listed on the roadmap picture from that time up today are token sale dates and an information that in September 2018 FXP will be listed in coinmarketcap, listed in the first crypto exchange in November 2018, and listed in leading crypto exchange in December 2018. The interesting thing is that the order in which they will perform is a little bit different than other ICOs. 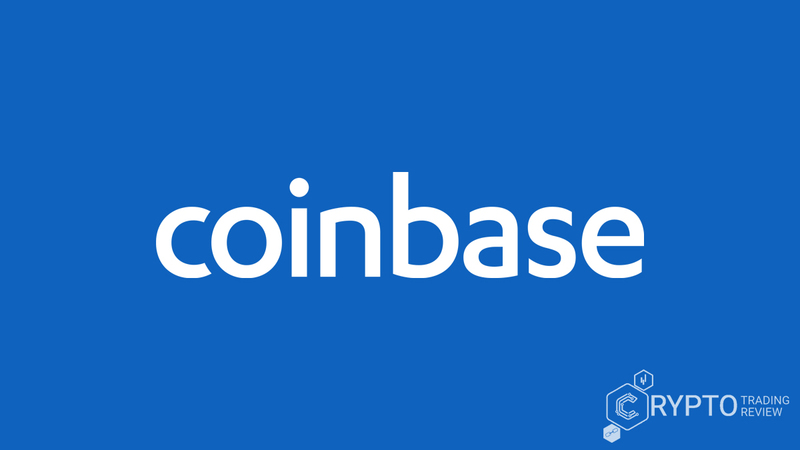 First, they will expand client base (January 2019), then they will introduce FX Pay social wallet mobile application and then they will introduce the team at the end of these events. That is a bit different in comparison to other ICOs, but we assume there is some reason for that. Maybe they have someone in their R&D team that will increase the value of FXP more than expected without this strategic move! These are just assumptions but as this is great and experienced ICO something like that would be obvious to happen. Their core business is to know when to announce some information, and when to hold it. Last but not least, in Q2 2019 we can expect the introduction of FX Pay debit card and ATM service! Not only that but in a month or two after that, they will start M&A process of e-shopping with Forex decentralized broker. This is the last thing they have in their mind with ICO, so June 2019 will be the last goal on their roadmap. After seeing these milestones we have to say two things. First of all, it is interesting how they were brave to demand a money-trust from investors based only at given whitepaper and token information. Secondly, they launched this information and then offered tokens for sale for seven months with no information about R&D team but instead, they plan to announce the team six months after the last token sale round. That is surprising, but you shouldn’t be afraid of that at all. The roadmap is clear and simple, and even though it is a long one, they took enough time to develop all solutions, so there will be no problems with deadlines. Perhaps the most important partnership is MasterCard/VISA for a need of issuing an FXP debit card that can be used for transactions worldwide. You will be able to use FXP card to access fiat at any time (ATM) or use fiat directly in store. This collaboration will be launched during the end of Q1 2019, which is not that far from now, and it is definitely worth waiting! When it comes to FX Pay ICO partners, the most important partners that support FX Pay ecosystem are brokers who act as facilitators and providers of Forex and enables cash back bonuses that can be redeemed for Forex credit. Credit can be used in the market, of course. Partners will have some benefits of FX Pay liquidity providers because they will allow partners to acquire liquidity directly from FX Pay. What is more, in Q1 2019 we can expect the announcement of a new Forex broker partner, which might be very interesting and will probably influence the increase of interest in FX Pay ICO in general. The conclusion on FX Pay review is very close, so stay tuned! First of all, there are 500,000,000 FXP tokens in total and founders will have 20% of total tokens, 5% goes for reserve, R&D team 8%, mergers and acquisitions 10%, and token sale participants 40%. This allocation is overall nice and well planned; there is nothing to be concerned about it. They have some restrictive conditions for founders, advisors, partners, early supporters (whitelist) and public pre-sale, but a public sale is the only one that has no restrictions in any way. Of course, restrictive conditions refers to token resale and holding. If you purchased your tokens as an early supporter, you are not allowed to resale tokens for the first 60 days of listing on Exchange, and 30 days if on public pre-sale. FXP is a gateway solution that will unify the ecosystem and Forex industry based on the blockchain technology. Forex is successful no matter what kind of change in business it makes, especially when it comes to improvement of the ecosystem (when mentioning, we believe it is certain that it will make Forex market more profitable, faster, and with lower fees). In order to make a conclusion, we must compare and observe solution quality, idea, team and advisors quality and overall hype. We already stated that roadmap is good and the team will have no difficulties with reaching their deadlines. When it comes to advisors quality, we think they are great, too, but cannot say more before seeing the rest of R&D team. The solution, as stated earlier, is truly great because it solves the main Forex problems that were holding the Forex market from expansion. They used blockchain to gain more successes and more profits, which will benefit all ICO participants that invested in time. Hype is great, too, and will rise as the token sale will get to the end. The number of interested investors will not drop as the ICO will be closer to the end, but will be increasing, and that will continue after an ICO when more and more people will start to realize the potential of Forex market in general. ICO like this is rarely seen, so do not miss this chance to benefit from FX Pay ICO! Visit their official webpage via URL from our page because you will be 100% sure that you accessed the right webpage, not a fraud one.